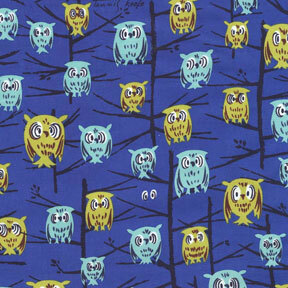 These Beautiful Tammis Keefe prints have being reproduced by Michael Miller fabrics. All royalties from the sale of these fabrics will go towards Cancer research. 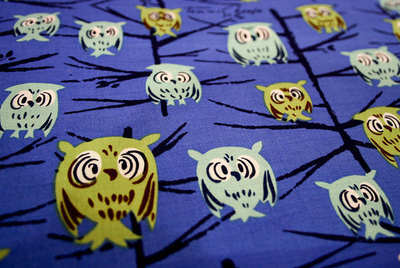 Am loving the bright midnight blue in this fabric and the cute owls sitting in top in blues and browns with an outline in black. Scale wise the owls vary between 3cm and 5cm.